LIKE a beautiful crown the hair of a woman enhances her beauty. It is understandable, therefore, why she may spend hours every week washing, curling, brushing, combing and shaping it. In some countries she is willing to sit under a hot hair dryer and to sleep on uncomfortable hair curlers in order to keep it looking nice. Hair care is of special interest to her. Men too are concerned about their hair. Sometimes a young man will linger before a mirror combing and recombing his hair until it satisfies him. When a man perceives that his hair line is receding or that the hair is becoming thin on top, he may become concerned. If the loss becomes substantial, he may even invest in a hairpiece. Hair can differ very widely from one person to another. This is true, not only between races, but also within the same race. Some women, for example, have strong, elastic hair; others have weak, limp hair that has very little elasticity. Of course, the elasticity of hair may change. A woman may have trouble with her hair when a teen-ager but not when she is an adult. Why? Because of physical changes as she grows older. In damp weather soft, limp hair will straighten very readily. This is an inherited condition, and a woman who has it must learn to live with it. On the other hand, a woman with strong, elastic hair knows that in damp weather her hair tends to frizz easily. Hair differences are also evident in coloring. In fact, it is common for hair to have several shades. But what causes hair to become gray? Gray hair is not dead and neither has it lost its color. Rather, it is new hair that has replaced old hair but without the same pigment. While gray hair is usually associated with old age, sometimes a man in his twenties will have a substantial amount of it. For some unknown reason his body stopped producing sufficient hair pigment. Your hair actually can indicate the condition of your health. This is due to the fact that hair is one of the fastest growing tissues in the body, and any abnormalities in the chemistry of your body will show up in the growth structure of your hair. Some doctors are even beginning to think that it is possible to diagnose a persons illnesses by examining a strand of hair. Since the hair directly reflects the condition of ones body, a woman should recognize that the readiness with which her hair can be shaped may be temporarily changed by pregnancy, menstruation, anemia and variation in blood pressure. Sometimes a woman will lose hair during pregnancy, and grow it back in a few months. Emotional stress can also affect the hair. Extreme nervousness appears to disrupt the proper flow of nutrients to the scalp. Many of the hair problems that people have can be attributed to their nerves. Diet can also affect your hair. A balanced diet that includes vegetables, fruits and not too many starches and sugars contributes to a healthy body and, in turn, healthy hair. But good hair condition requires more than a healthy body; personal attention is also necessary. Regular brushing of the hair enhances its appearance and improves its condition. By removing dust and grime, brushing contributes to a clean, glossy appearance. If a person has an oily scalp, brushing will also strengthen the scalp muscles and improve their control of fluids. When brushing, the best position is with the head tipped toward the floor and the hair hanging down. This brings more blood to the roots of the hair. In cleaning the hair, a brush with natural bristles has advantages over one with synthetic bristles. The natural bristles are made up of overlapping layers that are similar to those of your hair, so they more readily hold and remove much of the debris. The need to brush your hair daily can be appreciated when you realize that your hair collects more than ten times as much dust as does your skin. It is important to keep your hair clean, but do not overdo it. If hair is washed too often, it can lose its texture and some of its elasticity. Hair experts recommend washing it about every two weeks if it is hair that tends to be dry. Other types of hair that are in good condition might be shampooed every week or ten days. Soft water is preferred because soap often combines with chemicals in hard water, producing a residue that leaves the hair with a dull covering. A mild detergent soap can diminish this problem with hard water, but some persons may find a detergent soap unsuitable for their scalp and hair. It is best to use a shampoo that will be gentle on both. A cream rinse after a shampoo is often recommended by beauticians, as it can bring out the luster of the hair and seems to be good for reconditioning it. Among some women who naturally have very tightly curled hair it has become popular to get their hair straightened. One of the methods for doing this involves an alkali solution. But it must be used with great care, because it can adversely affect the scalp as well as the skin of the face and neck. Excessive exposure of the hair to the solution may even dissolve the hair shafts. Another method of straightening hair relies on high temperatures. A metal comb is heated to between 300 and 500 degrees Fahrenheit and is passed through the hair. The high temperature accompanied with the tension placed on the hair by the comb causes the tight curls to straighten. This too can be hazardous. If it is not done carefully, there can be breakage of the hair and possible scalp burns. Of course, after a while the hair returns to its normally tight curls. In choosing a hairstyle, a woman usually has a more pleasing appearance and is aided to keep her hair from falling out if she works along with its natural qualities instead of trying to change them drastically. Furthermore, your choice of hairstyling reflects your mental outlook. Does it really reflect what you intend? Whether you are a woman or a man, you have good reasons to give your hair the care it deserves. A sensible diet along with regular brushing can do much to keep it in good condition. Q: What is hair made of? A: Hair contains keratin, a fibrous protein. Each hair grows out of an indentation in the scalp called a follicle. At the bottom of each follicle is the papilla, which contains a rich blood supply. The papilla produces hair cells that progress up the follicle and harden into hair. Q: It is widely believed that hair grows faster when cut. Is this true? A: No. Some people imagine that hair is fed by the body in the same way the limbs of a tree are nourished by the trunk. But once hair grows out of the scalp, it is a dead substance. Trimming the hair, therefore, does not affect its growth. Q: Why does hair turn gray? 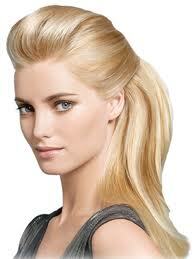 A: The inner layer of the hair contains a pigment that gives hair its color. As the pigment cells die, the hair turns gray; it�s part of the aging process. Premature graying might be caused by genetics or illness. It is a myth, however, that hair will turn gray overnight. Pigment is deposited below the scalp. So time is required for the gray hair to grow (about one half inch [1.25 cm] a month) and appear on the surface of the head. Q: What are the reasons for hair loss? A: Hair loss is part of the natural cycle of hair. On average, everyone sheds an estimated 50 to 80 hairs daily. But male pattern baldness has a hereditary basis and seems to be caused by a hormonal imbalance, resulting in permanent hair loss. Abnormal loss of hair is called alopecia. Q: Some say that hair is a mirror of a persons health. Have you observed this? A: Yes. Below the scalp, blood feeds the hair. So healthy hair may reflect a well-nourished blood supply. However, a person who eats poorly or overindulges in alcoholic beverages may find that his hair becomes limp and weak, since his blood supply cannot properly nourish his hair. 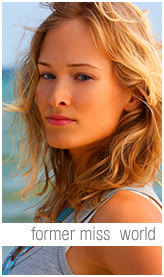 Hair loss or weak hair can even be an early sign of illness or pregnancy. Q: What should a person keep in mind when visiting a hairstylist? A: If you want to change your hairstyle, bring a picture of the style you want and perhaps of the style you dont want. Frankly express your wishes and the amount of time you are willing to put into hair care each day, since some hairstyles require more attention than others. Keep in mind that it usually takes two or three visits for a hairstylist to get to know your hair and to establish good communication with you. So dont give up on your stylist too quickly! Q: Describe how to shampoo the hair and scalp. A: Experience has shown that the majority of people with dry scalp problems shampoo their scalp too often. Of course, the oil in your hair attracts dirt and skin debris and can plug the oil ducts leading to the follicles. So regular shampooing is necessary. But these natural oils also protect your skin against harmful bacteria and seal in needed moisture. By shampooing too often, you are robbing your scalp of this protective layer and creating problems like dry scalp. Most experts recommend shampooing whenever ones scalp or hair is soiled. People with oily hair should try and shampoo more often than those with normal or dry hair. When shampooing, massage your scalp. This rids the scalp of dead cells and promotes proper circulation of the blood, which feeds your hair. Remember to rinse thoroughly! If you didnt rinse your hands after washing them with soap, your skin would dry and crack. Similarly, if shampoo is not properly rinsed off, the scalp can become dry and flaky. Q: How can a dry scalp be treated? A: Drink lots of water, and eat nutritious meals. This hydrates your skin and nourishes the blood supply. Use a mild shampoo, and massage your scalp regularly. Some people also use leave-in conditioners and lotions to moisturize the scalp. Discoveryou.biz has Hair Care and Hair Care tips. Discoveryou.biz has Hair Care and Hare Care tips and hair styles.